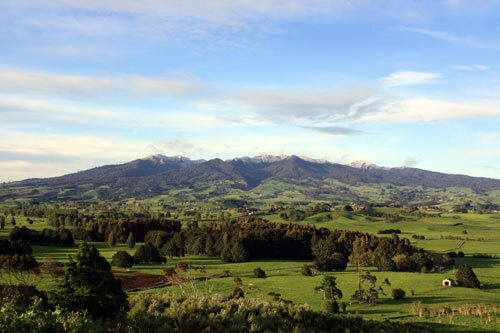 Pirongia mountain has one of the largest areas of forest in the Waikato region. Trees there escaped the logging that occurred elsewhere. In 1971 the mountain became a forest park. In contrast, the land around it has been cleared of original vegetation and turned into pasture.